There’s no way to know for sure, but Cane Berrong‍ thinks he might have been the first person to sign up for Notre Dame’s Elite Skills Camp on June 9th. 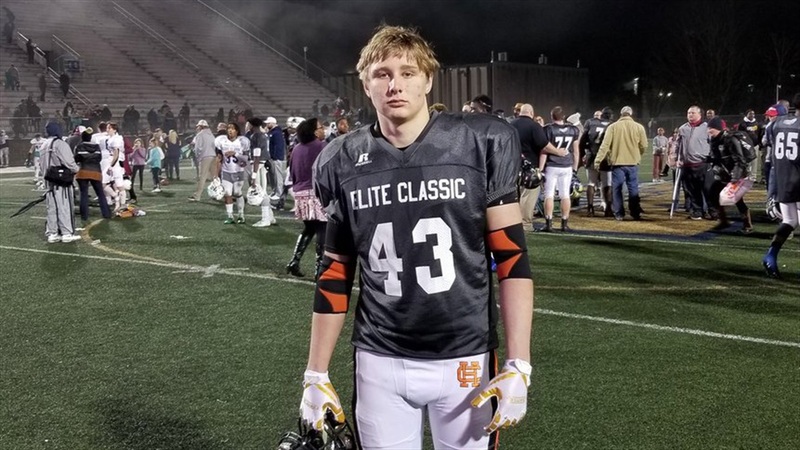 Either way, the 2021 Georgia tight end hopes the Irish see his eagerness as interest because that’s what it is. The Hart County High School standout already has an early offer from LSU. He recently added an offer from Penn State and is receiving interest from several other major programs as well. Berrong has been clocked at 4.53 in the 40-yard dash and college coaches like the way he runs and how he goes up and gets the ball. He’s also had preliminary contact with Notre Dame Director of Recruiting Aaryn Kearney. He was saying, ‘Congratulations on the invite’ and stuff like that,” said Berrong, who was fired up just to hear from the Irish. When he gets to South Bend for the camp, he’s going to be looking for good competition as well as the chance to check out Notre Dame. “I really want to see the school and just see how they do things,” he said. He’d love to add Notre Dame to his offer sheet at some point down the road. He visited South Carolina this past weekend and is heading to Wisconsin this coming weekend. He’d also like to get to LSU soon if he can. Berrong will be evaluating academics, his relationships with coaches and each schools’ tradition and history when making his decision.